Florida's Charlie Crist Comes Out Of The Closet...... As A Democrat! 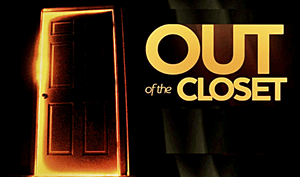 Home/Gay News Domestic & U.S. Politics/Florida’s Charlie Crist Comes Out Of The Closet…… As A Democrat! 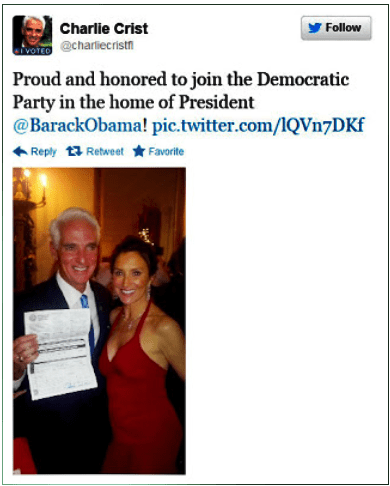 Florida’s Charlie Crist Comes Out Of The Closet…… As A Democrat! Last night Florida’s former Governor Charlie Crist came out of the closet as Florida as he officially registered as a Democrat. And according to Crist, it’s the GOP party’s fault he left it in the first place. No word about whether the friends who told him he was a “homosexual” have made any impact and that there’s any evidence of that bearded glass closet busting open soon.